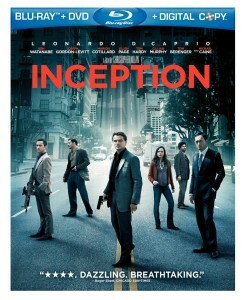 The best selling Blu-ray Disc for the week ending Dec. 12, 2010 was Inception from Warner Home Video. Coming in second and third in best selling were The Twilight Saga: Eclipse and Shrek Forever After, respectively. And, holding their own in forth and fifth were Toy Story 3 and Avatar. Sales data comes courtesy Home Media Research, which shows total Blu-ray Disc revenue is up 35% from the same week in 2009. Here’s the Top 10 Blu-ray Disc sellers in order. And hey, and check out Paramount/DreamWorks with three titles topping the charts! Previous Previous post: Should Netflix offer premium titles on-demand?